Created 4 Creativity : What's Cooking? Today's card was five years in the making, What? Well, not five continuous years of work! About five years ago I bought this apron stamp. I paper pieced a few of these images, but never did anything with them. I would see my cute aprons and think that I SHOULD do something with them....but never did. Until now. What made the difference? 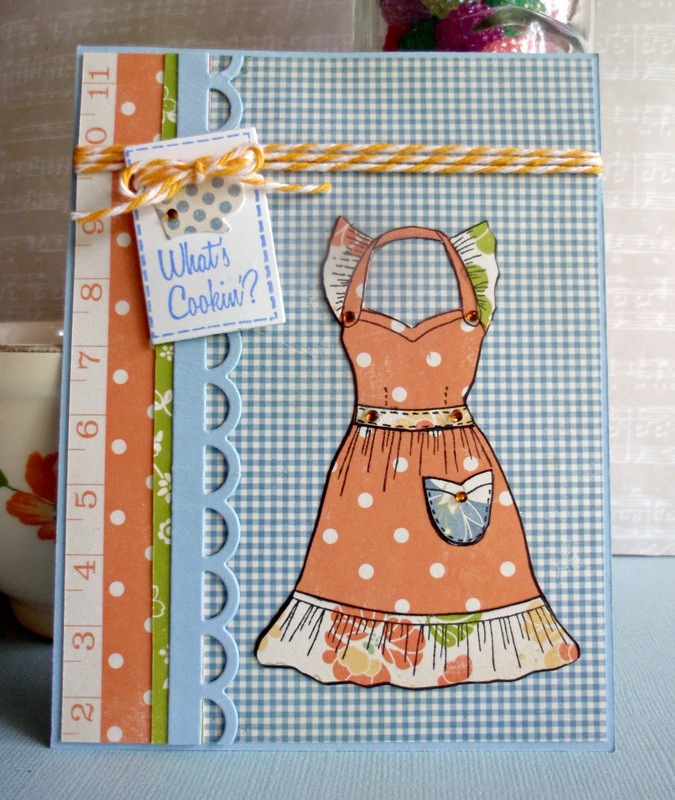 MFT Stamps newest release of course. The Die-namics Bon Apetite and Stamp Set spurred me on to make this card. The set has some wonderful kitchen related stamps and also a set of great dies. Here is a picture of the set that helped me use my apron images today. 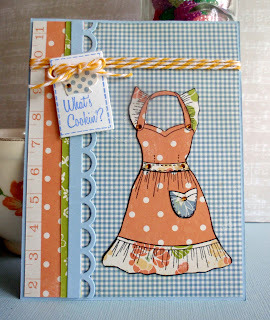 In a few days I am going to show you another project I made using my little aprons. And tomorrow you will get to see a fun Halloween project.